For thirty-five girls, the Selection is the chance of a lifetime. The opportunity to escape the life laid out for them since birth. To be swept up in a world of glittering gowns and priceless jewels. 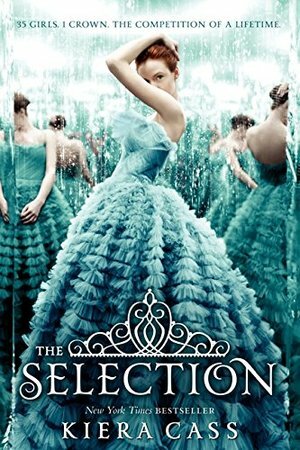 To live in a palace and compete for the heart of gorgeous Prince Maxon.But for America Singer, being Selected is a nightmare. It means turning her back on her secret love with Aspen, who is a caste below her. Leaving her home to enter a fierce competition for a crown she doesn't want. Living in a palace that is constantly threatened by violent rebel attacks.Then America meets Prince Maxon. Gradually, she starts to question all the plans she's made for herself—and realizes that the life she's always dreamed of may not compare to a future she never imagined.